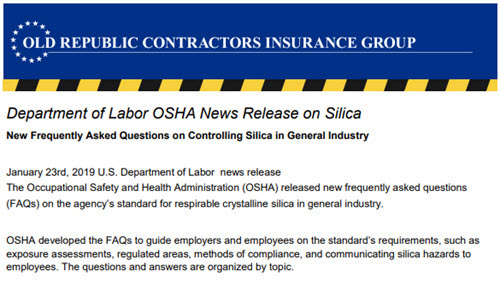 Department of Labor OSHA News Release — OSHA released new frequently asked questions (FAQs) on the agency's standard for controlling respirable crystalline silica. 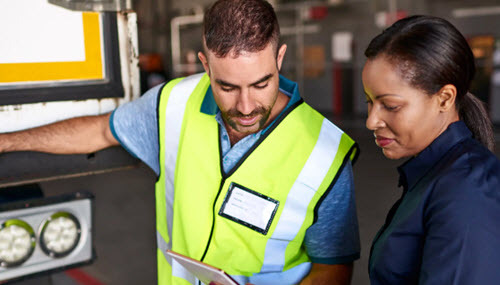 The FAQs were developed in consultation with industry and union stakeholders to provide guidance for employers and employees regulating occupational exposure to silica in general industry. Learn more about our services and how we can help you. 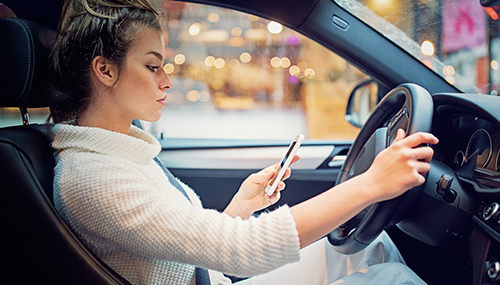 © 2019 Old Republic General Insurance Group, Inc. All Rights Reserved.